Adam Ferguson, FRSE (in Scottish Gaelic: Adhamh MacFhearghais), also known as Ferguson of Raith (20 June 1723 (O.S.) (1 July, N.S.) – 22 February 1816), was a Scottish philosopher and historian of the Scottish Enlightenment. Ferguson was sympathetic to traditional societies, such as the Highlands, for producing courage and loyalty. He criticized commercial society as making men weak, dishonourable and unconcerned for their community. Ferguson has been called "the father of modern sociology"; he did contribute to the initial development of the subject. His most well known work is his Essay on the History of Civil Society. Born at Logierait in Atholl, Perthshire, Scotland, he received his education at Logierait Parish School, Perth Grammar School, and at the University of Edinburgh and the University of St Andrews (MA 1742). In 1745, owing to his knowledge of Gaelic, he gained appointment as deputy chaplain of the 43rd (afterwards the 42nd) regiment (the Black Watch), the licence to preach being granted him by special dispensation, although he had not completed the required six years of theological study. After residing in Leipzig for a time, he returned to Edinburgh where in January 1757 he succeeded David Hume as librarian to the Faculty of Advocates (see Advocates' Library), but soon relinquished this office on becoming tutor in the family of the Earl of Bute. In 1759 Ferguson became professor of natural philosophy in the University of Edinburgh, and in 1764 transferred to the chair of "pneumatics" (mental philosophy) "and moral philosophy". In 1780 he wrote the article "History" for the second edition of Encyclopaedia Britannica. The article is 40 pages long and replaced the article in the first edition, which was only one paragraph. In his seventieth year, Ferguson, intending to prepare a new edition of the history, visited Italy and some of the principal cities of Europe, where he was received with honour by learned societies. 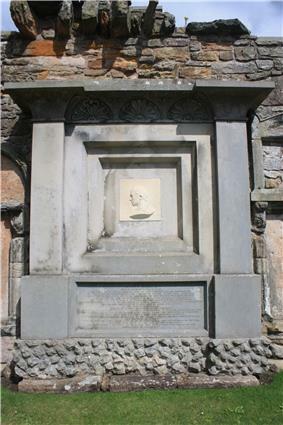 From 1795 he resided successively at Neidpath Castle near Peebles, at Hallyards on Manor Water, and at St Andrews, where he died on 22 February 1816. He is buried in the churchyard of St Andrews Cathedral, against the north wall, just east of the eastmost fragments of the cathedral. The very large monument includes a carved profile portrait in marble. "We find in his method the wisdom and circumspection of the Scottish school, with something more masculine and decisive in the results. The principle of perfection is a new one, at once more rational and comprehensive than benevolence and sympathy, which in our view places Ferguson as a moralist above all his predecessors." In the political part of his system Ferguson follows Montesquieu, and pleads the cause of well-regulated liberty and free government. 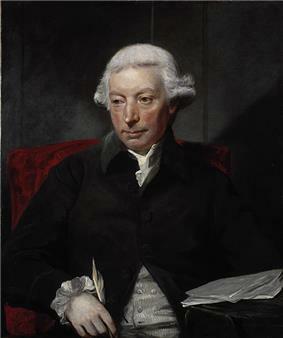 His contemporaries, with the exception of Hume, regarded his writings as of great importance, but he made minimal original contributions (see Sir Leslie Stephen, English Thought in the Eighteenth Century, x. 89-90). Ferguson's Essay on the History of Civil Society (1767) drew on classical authors and contemporary travel literature, to analyze modern commercial society with a critique of its abandonment of civic and communal virtues. Central themes in Ferguson's theory of citizenship are conflict, play, political participation and military valor. He emphasized the ability to put oneself in another's shoes, saying "fellow-feeling" was so much an "appurtenance of human nature" as to be a "characteristic of the species." Like his friends Adam Smith and David Hume as well as other Scottish intellectuals, he stressed the importance of the spontaneous order; that is, that coherent and even effective outcomes might result from the uncoordinated actions of many individuals. The Essay has been seen as an innovative attempt to reclaim the tradition of republican citizenship in modern Britain, and an influence on the ideas of republicanism held by the American Founding Fathers. - Reprinted in 1995 with a new introduction by Louis Schneider. Transaction Publishers, London, 1995.